For nearly two decades, Trenton-based TerraCycle has built its business on waste. The company, which posted about $32 million in sales during 2018, started in 2001 as small provider of fertilizer made from worm droppings. Then it gradually expanded to become “a world leader in the collection and recycling of waste streams that are traditionally considered not recycled,” like toothbrushes and other oral care products, according to a regulatory filing TerraCycle submitted to the Securities and Exchange Commission in connection with its $25 million Regulation A stock offering last year. Under this incarnation, TerraCycle rolled out turnkey platforms, called Brand Sponsored Collection Programs, which are designed and administered for manufacturers that want to recycle their products or packaging. “For example, Colgate contracted with us to set up a national recycling program to collect and recycle its oral care products and packaging,” according to the SEC filing. 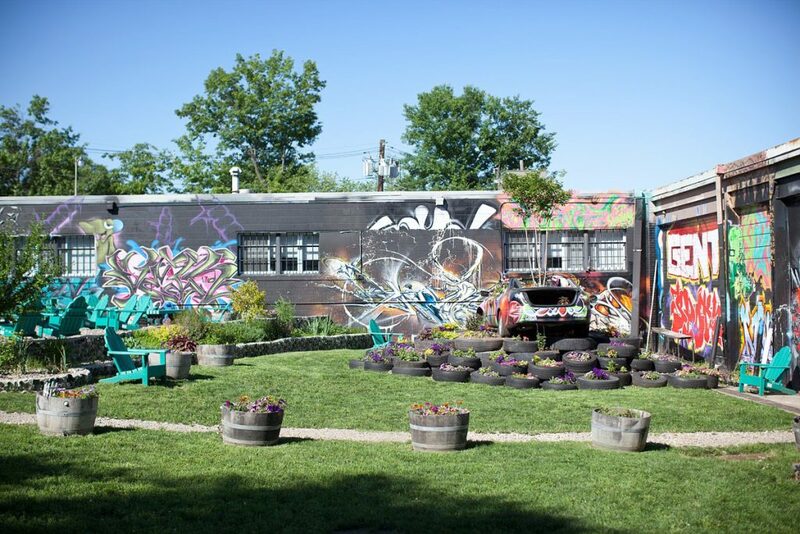 In effect, TerraCycle leverages the activities of its brand partners and others. In the Colgate partnership, schools collect empty toothpaste tubes, toothbrushes, floss containers and other used oral care waste and packaging, and then recycle them through other companies that contract with TerraCycle. The schools have an incentive, since the ones that collect the most waste can win a playground made from the recycled materials. Enter Loop, a new TerraCycle enterprise that will let consumers order goods from a Loop website or from sites of partners like P&G which will be delivered to their doorstep in a reusable shipping tote. The customer pays a refundable deposit to cover the tote and, when they need to reorder the product, they place the empty package into a “Loop Tote,” for pickup directly from their home. If there’s recoverable used product left over — like diapers, pads or razors — they’re picked up to be reused or recycled. If a product refill isn’t needed, the consumer’s tote bag deposit is returned or credited to their account. 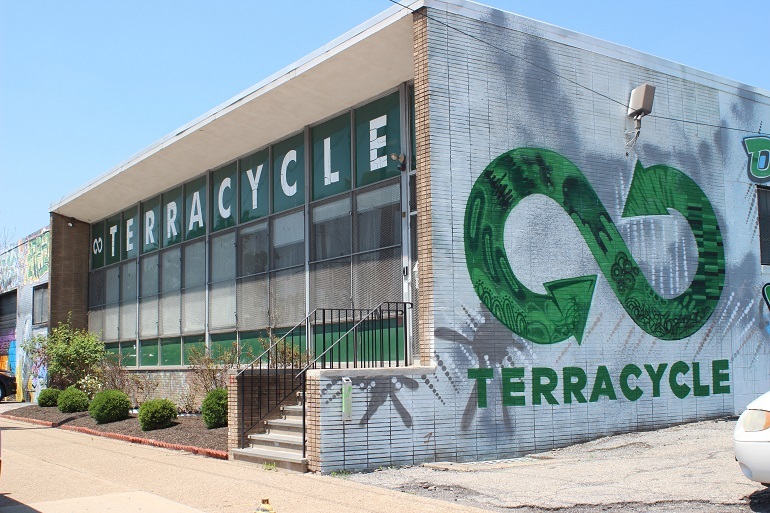 Today, with a global footprint, TerraCycle has about 600 employees; about half of them are in the Trenton headquarters. Szaky said the company has a culture that’s “fun and informal while serious and rigorous in its work ethic,” and noted that’s a big part of TerraCycle’s success. He plans to keep it casual even as the company continues to expand. TerraCycle founder and CEO Tom Szaky dropped out of Princeton University to launch his company, and then kept reinventing it. NJBIZ asked Szaky what gave him the guts to keep betting everything over and over. I think part of it was my upbringing. I was born in Hungary when it was still under Communist rule and everyone was poor. We moved to Western Europe, then to Canada, then to the U.S. — the heartland of capitalism. That kind of exposure to different systems gives a person a sort of flexibility in their mindset. That’s reflected in our business model: We’re not flexible when it comes to eliminat-ing waste, but we are doing it in a profit-making model. I guess you could call it a blend of approaches. His flexible attitude extends to the company’s decision to keep its headquarters in Trenton. Trenton is a great location for our business because it’s right in the Philadelphia-New York City corridor, which has a lot of great people. Plus it’s close to global transportation, and a lot of major corporations are in area. And space is very affordable here, and people celebrate the company for being here. The icing on the cake is that we’re also able to give back to the community. We’re helping to rejuvenate Trenton by creating jobs for local people and by paying taxes.